What are secured car loans? Secured car loans are one of the options for financing a new or used car purchase. Just like they sound, they involve applying for a loan that uses your vehicle as collateral. Should you default on your payment or fail to make payments according to your secured car loan agreement, the lender may seize your vehicle and sell it to repay your debt. Vehicle purchase guidelines exist for secured loans, meaning that there may be restrictions on the type of vehicle you can purchase with your loan payment. An example of this is that you may be required to buy an unregistered or uninsured car. The reason is that your loan is limited to the value of the vehicle you’ve used as collateral, making it necessary to purchase your car within this amount. Unsecured car loans don’t impose these guidelines. Interest rates are generally a lot lower for secured car loans, as the lender is guaranteed the value of your car should you default on payment. Circumstances on default. Should you fail to pay a secured car loan, your lender gains the power to sell your vehicle and make up the outstanding debt. Unsecured loans don’t involve this. Restrictions on loan amount will apply when you sign up for a secured car loan. As with the vehicle purchase guidelines, this is linked to the amount your car is worth. Insurance, rego and other costs may not be covered under your loan agreements. Uncovered loans have much greater flexibility and allow you to select a loan amount as you like. Early repayments may involve fees. Secured car loans can be obtained from a variety of lenders, from credit unions to established banks. If you’re thinking about applying, it might help to weigh up the pros and cons first. Because you’re securing your loan with your vehicle as collateral, lenders are generally able to offer lower interest rates. This will make repayments less painful on your bank balance. Used vehicles are also often able to serve as collateral for secured car loans. In some cases even cars over 12 years are fit for a guarantee. Secured car loans can typically only be used to buy the vehicle itself and not for costs such as rego or insurance. It doesn’t hurt to ask around though, as certain lenders may be happy to extend the loan for vehicle insurance. At the end of the day, you are putting your vehicle up as a guarantee to repay your loan. If you can’t make your repayments, the lender has a right to sell your car. Should the selling value exceed your debt, you’ll be given back the balance. If not though, you’re left to cover the outstanding amount. How do I compare the quality of different loans? Loan term. On average these start at 1 year, and can extend to 7 and 5 years for variable and fixed loans respectively. Think about your ability to repay within the loan period before you commit yourself to anything. Fees. These should be considered alongside the interest rate, as they can differ greatly between loan products. A low interest rate doesn’t necessarily mean you won’t end up paying more if you fail to factor in things like establishment fees for setting up your loan and ongoing fees for maintaining the loan. Interest and comparison rates. There will be a lot of variability here and you should think first and foremost about what this means for the size of your repayment installments. 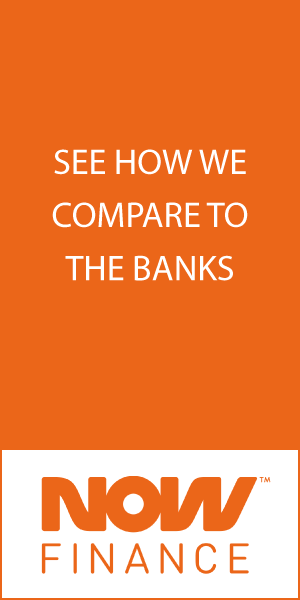 Comparison rates are good for deciding between offers as they include the loan’s total cost. Loan size. $5,000 is fairly standard when it comes to minimum loan size. At the other end of the scale, there’s a lot more variability and some loan providers may not even have a maximum loan amount. Do remember this as you think about what vehicle you’d like to purchase. Flexibility. It’s recommended that you consider the lender’s flexibility when it comes to early repayments and making additional payments. If you come into money down the line, the ability to pay off your secured car loan early might be a good thing to have. Features. Lenders may offer different features as part of the loan package, and it’s not a bad idea to think about whether you’d prefer a loan which offers insurance discounts or help with finding a car. Paying close attention to the fees of your secured car loan. It’s not overly difficult to get caught out by choosing a low interest rate loan that also charges monthly fees. If you feel like you might be able to repay your loan early, then do check carefully to see if doing so will also involve penalties. Select the most appropriate loan for you. Flexibility is key here. The right loan term and repayment flexibility will depend heavily on your financial situation. Do consider that the ability to repay early will not be an option with secured car loans, and keep this in mind while remembering that your financial situation may change. Being ambitious with repayments. An all-too-easy mistake to make in the excitement of being full owner of your car, it’s tempting to commit yourself to a shorter loan term than you need. This will mean higher repayment costs and if you can’t meet these, your lender may sell your car. New car loans are for buying brand new cars (lenders will offer new car loans for cars for up to five years old) where the interest rate is likely to be lower. A new car loan will typically use the car as an asset to secure the loan. Unsecured car loans are available for older cars that banks do not see of value in securing.